Because credit is so integral to operating capital - i.e., the lifeblood of every business - it carries a similar level of importance in and of itself. Company owners, at one point or another throughout any given business day, may be thinking about either their own organization's credit status, that of their business partners or vendors and (last but not least) their customers. This stems, in no small part, from the question of credit risk: how much the company must face as a result of its own issues, as well as that originating from choosing to do business with the wrong partner or taking on customers with bad debt histories. While the scale of credit risk can be much bigger for organizations that operate in the B2B space than companies whose customers are mostly or entirely individuals, because of the sheer dollar amounts involved, there's no question of the matter's overall magnitude. As a result, company owners need to always be looking for the most ideal credit risk management solutions to ensure this issue is always monitored and never gets out of hand. Several tools available from Microbilt may be particularly valuable in this context. Closely following the credit of companies' business partners and individual customers can help avoid a wide variety of risky situations. Some companies will primarily be at risk from their dealings with other businesses, while others face the most potential trouble from offering credit to individual customers who are decidedly less than reliable for various reasons. More often than not, however, the possibility of problems in this general area comes from a blend of both of these sources. According to The Risk Management Association, developing a genuine understanding of credit risk is contingent upon a strong knowledge profile of each customer, including both short- and long-term outlooks of their prospects and behaviors. Records of credit risk must also be continually updated: While an initial evaluation of an organizational or individual credit situation is extremely important and will tell business leaders a great deal, that analysis can't be the be-all, end-all. 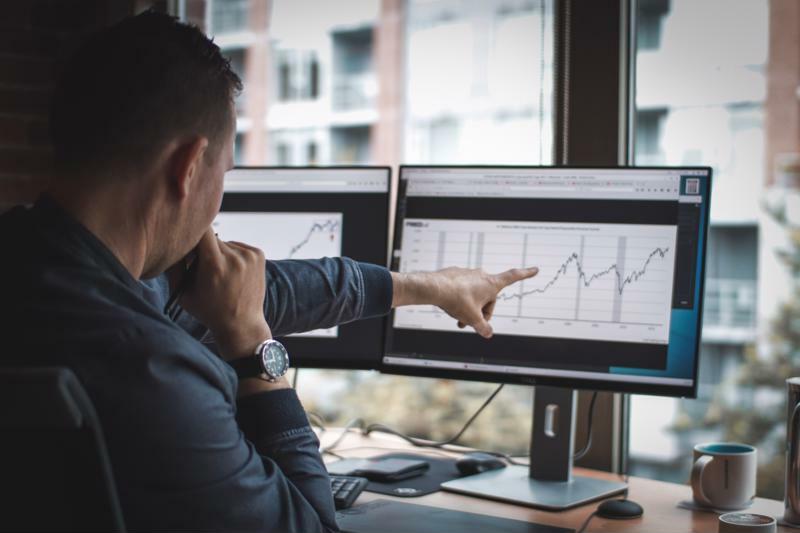 Things change constantly in all aspects of the financial realm, and as such it's critical to look at credit risk management as an ongoing process - or, at the very least, a periodically refreshed one. For that precise reason, it will be most optimal for company owners to invest in a credit risk management solution capable of easily handling both types of risk analysis, or partner with a provider - like Microbilt - offering separate tools for either of these problem categories. Users who choose Microbilt can essentially mix and match our products according to their specific needs to devise the best overall credit risk management solution for their company's present and future alike. The following may sound odd on its face, but that doesn't make it any less true: Not all credit risk is financial in nature and yet all of it ultimately is financial. As pointed out by TRMA, the trends and occurrences within an industry at large - involving factors such as employment, commodity valuations, regulation, pace of development and so on - affect all of the companies within it. Geopolitical issues can also play a role in certain instances, as is being seen all over the world with the various trade disputes that have erupted over tariffs and imports (most notably between the U.S. and China, and the size of those two economies causes a domino effect on many others). Another issue worth monitoring that isn't directly financial but has a bearing on profitability and credit rating is the way in which a business is managed - i.e., whether it is considered well or poorly run by its partners and its peers. Most if not all successful companies aren't considered poorly managed. Finally, it behooves company owners looking at credit risk to examine the scale of that risk: Does it apply to just one relationship and transaction, or is it big enough to affect other dealings? Consider something like a merger with another business: These transactions are, in numerous cases, followed in major news outlets and monitored closely by federal or state regulators (or both). If a merger were to fall through on the basis of credit risks specifically applying to one of the parties involved, the aftermath wouldn't solely affect the company to which the adverse factor most directly applies. The broad brush would negatively paint all of the parties in the failed merger, and in some cases might have bearing on the industry as a whole. (As an example, consider the effects on countless industries that would have resulted from a collapse of the proposed merger between CVS and Aetna; as it stands, plenty of companies will be affected by its conditional approval, which went through Oct. 18, 2018.) With this in mind, business owners can't afford not to look for - and identify - credit risks as early as possible so that the possibilities of direct and collateral damage are both minimized. Long-term business valuations, which consider 3 to 5 years of a company's value. Comparative profiling of your company and others in its industry. Merchant verification, including Dun & Bradstreet reports and Microbilt's own methods. Training and verification solutions to help ensure compliance with the Fair Credit Reporting Act. Public-records searches for companies in all 50 states. Contact us today for more information about our credit risk management solutions.